Battery metals miner Tshipi é Ntle Manganese Mining has hit its sales target of 3.51 million tonnes, a new company record. Private battery metals miner Tshipi é Ntle Manganese Mining hit its sales target of 3.51 million tonnes, a new company record. The African manganese miner’s Tshipi Borwa mine, located in South Africa, produced over 3.4 million tonnes of manganese for the 2019 fiscal year. The company’s total sales revenue for the period came to AU$872.3 million. 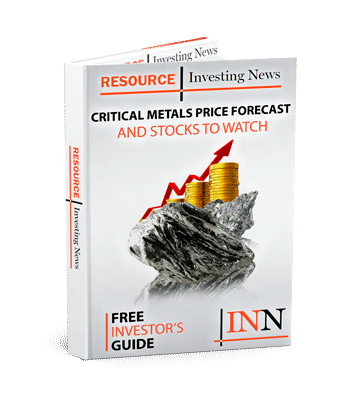 Australian mining company Jupiter Mines (ASX:JMS) owns a 49.9 percent interest in Tshipi é Ntle, and included the manganese miner’s results in its recent quarterly activities report. The battery metals company posted a net profit of AU$379 million for the year and paid 3.21 billion rand in dividends to its shareholders. The company also surpassed its expected shipping goals. “The rail and road volumes realized were higher during the month of February, exceeding the FY2019 shipping target,” notes the report. While Tshipi did meet its shipping goals and attained a company sales milestone, production was slightly down quarter-over-quarter at the Borwa mine. In Q1, output reached 915,011 tonnes, while the Q4 production total was 803,927 tonnes. Manganese has long been used as an alloy in stainless steel manufacturing. The brittle metal is also widely used as an oxide in the battery sector, which has helped drive manganese demand over the last decade. South Africa, where the Borwa mine is located, is the largest producer of manganese with annual output of 5.3 million tonnes, essentially dominating the industry. In comparison, China, the second-largest producer in the world, put out less than half of the South African total in 2018, mining 2.5 million tonnes of manganese. Shares of Jupiter Mines were down 2.9 percent on Tuesday (April 2), trading at AU$0.34.